Considering the standards is the same as for RB, I suppose a deep and very green colour is desirable. Etant donné que le standard est le même que pour le BR, je suppose qu'une couleur vert foncé et très verte est souhaitable. Mais qu'en est-il en réalité ? Also, how long does it take for the colour to be definitive? 1 year? 1,5 year? Combien de temps la couleur met-elle à se faire/fixer définitivement ? 1 an ? 1,5 an ? Bright green eyes, close to the emerald .. One-coloured eyes. The color can be formed up to 2 years. It is prescribed in the Russian standard WCF. Not all cats have the same green collor. Some even stay more yellow than green. 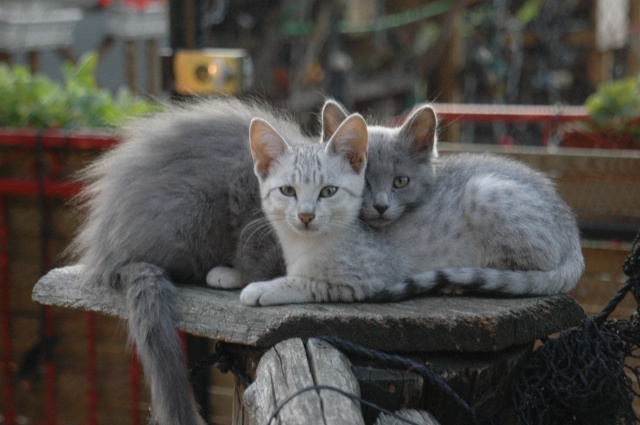 But that is also with russian blue. Breeding perfect green eyes is a challenge for all. And when you have the perfect eyes........ the ears could be better or something else is not so good. My Ozar his eyes turned green very early. When he was 6 months they were green. But Natasha her eyes are nice dark deep green and still become more green, and she is 4. What is the color of the eyes of you little friend at this moment? A 3 mois, les yeux sont en général très bon. ensuite la couleur devient ambre. Il faut souvent attendre 1 an pour que la couleur soit bonne. 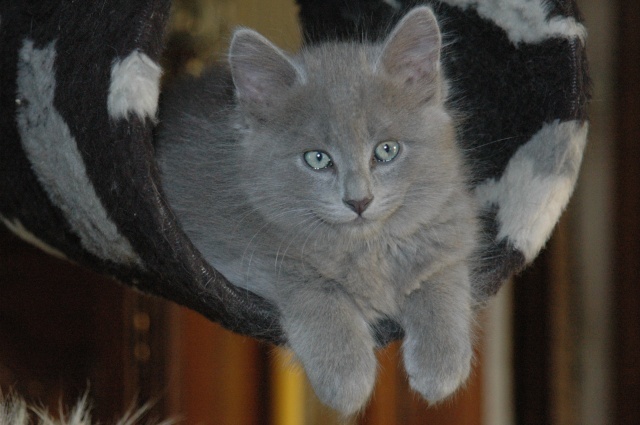 Bink did not have that blueish-grey color. When he came to live here his eyes were brown. His eyes got green when he was a year or so. C'est une chose normale. Après quelque temps où les yeux sont verts, ils ne sont vraiment de la bonne couleur que vers 12 à 24 mois. Enzo's eyes are getting greener now too, and he is 1 year and seven months now... today when I saw him in the garden, his eyes looks just like the plants... beautifull! mvanprooyen wrote: Enzo's eyes are getting greener now too, and he is 1 year and seven months now... today when I saw him in the garden, his eyes looks just like the plants... beautifull!